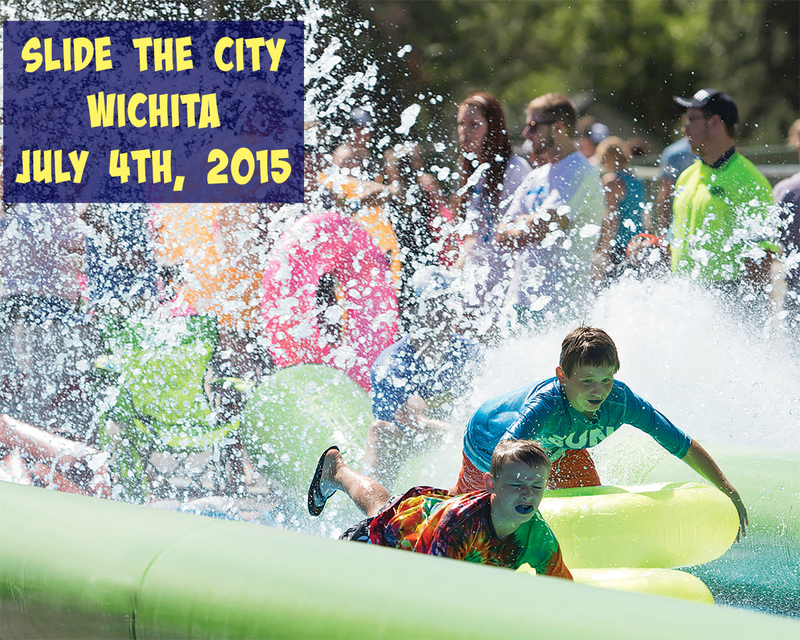 On Saturday, July 4h - W. Maple Street in Wichita will be transformed as participants ride inflatables down this giant slide spanning THREE city blocks! With music, local vendors, and giveaways, this family friendly event promises to be a highlight of your summer! After purchasing, don't forget to let everyone else know about the event. 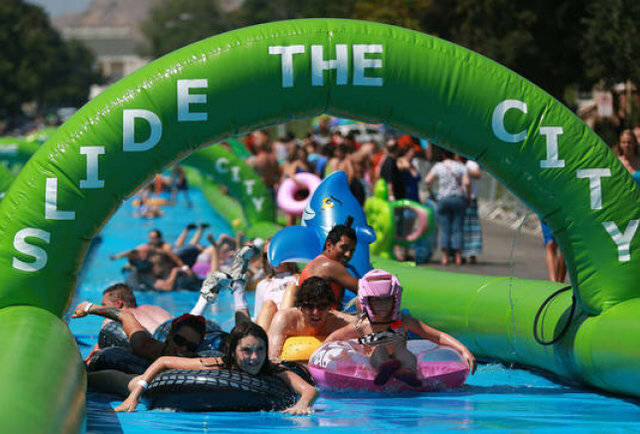 Follow along with the hashtag... #SlideTheCity and #SlideTheCityICT (<---my personal hashtag I've created). * Is there an age or height limit? * Are there group rates available? * What do you do to address water conservation? Don't wait though! Tickets are selling out QUICKLY!! This is SURE to be an event you don’t want to miss!